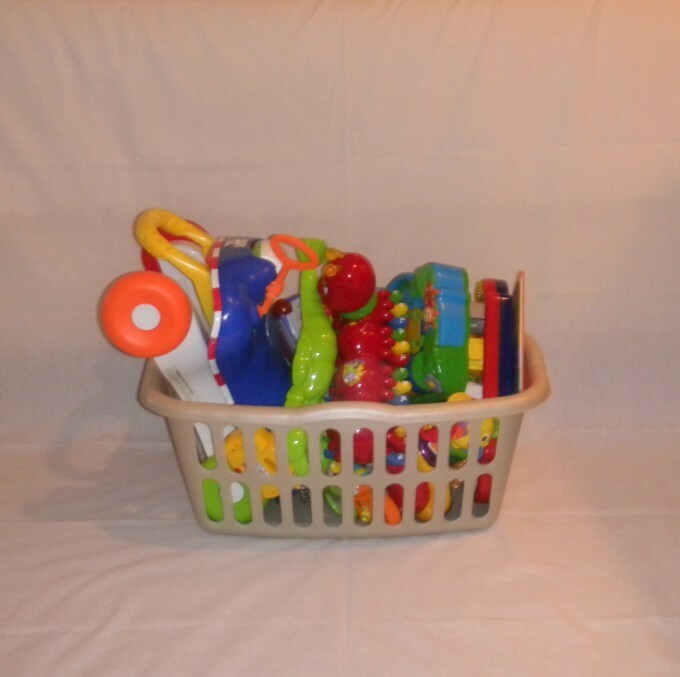 This basket includes 8 to 12 toys depending on the size of the toys. This package will include a ride on or one of our bigger toys. If reserving this basket, please click on this item and go to the next page where you can give us the age and gender of your child. Basket of 8 to 12 toddlers toys depending on the size of the toys. Includes a ride on toy. Please give us the age and gender of your child and we will make every effort to give you appropriate toys. Please keep in mind these are not infant toys, but toddler toys.